I am so excited to bring a new series to Coastal Bride where I will be featuring some of my favorite engagement style. As a wedding photographer I am constantly asked for engagement fashion advice. It can be really hard to select clothes that look good on camera and compliment your fiance’s outfit. For my very first engagement style post I have partnered with Southern Proper, a Georgia clothing company that has recently started designing women’s wear. Make sure to check out their adorable clothes for your gent as well! For your engagement it is important to chose clothes you are comfortable in. You want to look and feel like the best version of yourself. You are only a bride once, so take advantage of it and wear some white. This top has a subtle eyelet pattern which is not too distracting on camera and I love the feminine scallop pattern of this chambray skirt. I finished off this look with these shoes that I can see myself wearing throughout summer and into the fall and my favorite necklace that goes with just about anything! Early this summer I had a guest spot on the National Weather Channel. I spoke about inclement weather and it’s effect on outdoor weddings. I won’t bore you with the clip as it was my first time on TV and I was a bit nervous! We were named one of the top wedding Pinterest accounts to follow by Bespoke Bride. I am super excited about some of the fun collaborations we have had this year. I love having the opportunity to create great styled content for brands. Some of the brands I was lucky enough to work with were Lindt Chocolate, Valine’s Famous, iCustom Label, and eHow. I had the opportunity of my dreams to collaborate with Aisle Society and Elizabeth Anne Designs to style a shoot for one of my favorite brands Plum Pretty Sugar. Catch parts one and two here! Joined forces with 30 other wedding bloggers to launch the awesomeness that is Aisle Society! I had the exciting opportunity to run the Big Fake Wedding’s Instagram account for the night during their Charleston event. In early February I took a press trip to the Bahamas and explored Sandals resorts with the Aisle Society ladies. And last but not least we have more than doubled our blog views and social media numbers! Happy Weekend! It looks like it’s going to be a rainy (and maybe snowy) weekend here in Charleston so I will most likely be spending it bundled up inside. I hope your weekend is a little more exciting! You won’t want to miss the fun we have planned for next week including bachelor party inspiration and a shoot I helped style! A romantic gold + sequin wedding. Tips + Tricks for Valentine’s floral arranging. Calligraphy cutting boards are a great gift but can be pricey. But I came across this tutorial to easily make one for less! The prettiest desert ballet wedding inspiration. New slang that will make you feel old — Do you know any of these because I sure didn’t! Happy Weekend! Well, you made it through the first week of the new year! I’m happy to say I have held my resolutions for 7 days so far… only 358 more days to go! A fun boho New Years bash with the girls! It doesn’t get cuter than this Dalmatian themed bridal shower. A cozy Fall backyard campfire party. I just majorly cleaned up my space for the new year and I love this cute + functional organization advice. In case you missed it – our pick of the week + a Bloody Mary bar worth making. I adore this colorful and tropical Hawaii wedding inspiration. Happy Weekend! I am so excited to reveal a bit more about the new project I am involved in! I’m thrilled to announce the upcoming launch of Aisle Society! We’re coming together to create a new hub of wedding inspiration, run by more than 30 of your favorite wedding bloggers. Watch the video below and check out our website for more and don’t forget to check out our weekly link roundup below! A stunning Michigan engagement – don’t you just love their style! A vintage peach + plum vineyard wedding. Every single way to tie your scarves this season! Natural earth toned wedding inspiration. Creative Fonts for your wedding stationery. Fall is right around the corner and I’ve been thinking of making these again soon! Loving this vibrant take on Fall florals. This Southern wedding is full on classic details and monograms! Looking for engagement style inspiration? Don’t miss our growing Pinterest board! This unique glitter shark tooth DIY would make a fun groomsmen gift! This fresh Capri inspiration is the perfect color palette for a preppy wedding! A quick and easy recipe to try. Coastal Bride vendor Blooms by the Box is giving away $500 in flowers and supplies! You won’t want to miss this, enter here! Rain has been in no short supply this week so I’m loving this list of rainy day activities. I’m crushing on this pink sunset hued palette. Outfit inspiration for a week long honeymoon in Fiji! There are some shoots that are just so lovely they leave you breathless and slightly dizzy. Today’s North Georgia elopement from Sawyer Baird is one of those. With an organic bouquet by Forage & Fleur and delicate paper goods by Jenny Sanders this romantic elopement will leave you dreaming for the rest of the day! 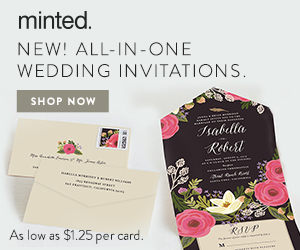 Recently Minted, one of my favorite stationery companies, launched a new line of wedding invitations for 2015. Full of new colors, fonts and patterns there is a suite for every type of wedding and couple. Today I am sharing two of my favorite wedding suites from the new collection but I highly suggest you check out all of the styles on Minted’s site! If you are a regular reader of this blog then you know I adore everything watercolor. And I just love seeing watercolor details popping up everywhere in weddings this year. With it’s wash of pinks and oranges, the Gallery Love suite is a design right after my own heart! My second favorite suite from Minted’s new collection is the Wedding Etching from their foil-pressed invitation line. Nothing says elegant like a foil-pressed invitation and this stationery suite on thick luxe paper will impress all of your guests! This post is sponsored by Minted. All opinions are my own. Thanks for supporting our advertisers who help keep this blog running! This post contains affiliate links which means I will earn a small commission if you shop through them. An interesting article on the rise of the transparent wedding gown – would you dare to bare? I’m loving this lightweight dress for summer! A fun cocktail recipe for your weekend. 1. I am super excited to announce that this week Coastal Bride joined the Style Me Pretty network of collaborators! I have been a huge fan of Style Me Pretty since I started photographing weddings 6 years ago. 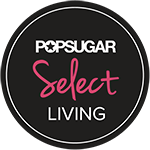 I never thought I would be running a blog, yet alone joining their fabulous network and I am so incredibly humbled to join and to see what the future holds. 2. I have been incredibly lucky to have guest posted on several blogs I admire over the past year. From The Everygirl, Best Friends For Frosting to A Fabulous Fete. Currently I am really enjoying creating DIY posts for eHow and am excited for some of our upcoming posts. 3. Almost a year ago I started The Charleston Blog Society. My hope was to meet a handful of friends to grab coffee with and chat blogging. What started as a little group has grown into a society of over 100 bloggers. Not only am I proud of the friendships this group has fostered but I am always in complete awe of the different collaborations and networking our group has fostered. 4. Over the past year Coastal Bride has been lucky enough to collaborate with several brands we admire. I am so thankful for everyone that supports this blog and wants to connect with our readers on a personal level. I am humbled by the collaborations that have come our way this year and I can’t wait to share some of the upcoming wedding DIY’s we’ve got brewing! 5. Last but not least I am most thankful for YOU. Coastal Bride would not be possible without our readers. I am so thankful to each and every one of you that takes the time to read this blog, comment on our Facebook page and double-click on our Instagram images. Thank you, thank you, thank you.